Today we have a freelance contribution post by Sally. She has some tips for those who are getting older. For the majority of us, home is the place where we feel safest and happiest, particularly as we get older. The prospect of having to leave our home behind in order to live in a safer, cared-for environment, can be heart-breaking. Job 32:7 ponders the notion that with age, comes wisdom, "I thought age should speak, And increased years should teach wisdom”, but we don’t always grow wiser with age. The wise among us accept that we aren’t as nimble as we used to be and that, even though our own homes are where we want to be, we must make a number of adjustments to protect us from falls and other accidents that can result in hospital care. In the same way, we must allow our relatives to help with these changes, particularly if we choose to live with loved ones as we get older. Wisdom teaches us that the adjustments they want to make to our environment are simply designed to keep us safe and well. Whether ageing gracefully in the comfort of your own home or being cared for by relatives, it is your duty to make the necessary adjustments to ensure your home environment is safe and secure. As we get older, rugs become a notorious hazard. We are more prone to tripping over the edges or kinks that develop in the middle. The wise decision is to remove rugs from all rooms and offer them to friends or family, or indeed, just as the Psalm 112:5-9, “It is well with the man who is gracious and lends”, donate them to a local charity. It’s important to redesign the layout of the furniture in our homes as we get older too. Moving items against the wall, or to a different position where they won’t be blocking our way - inhibiting us from moving around with ease - is one of the best ways of securing our home environments and protecting ourselves or our loved ones from possible accidents. John 12:35-37 reminds us, “Whoever walks in the dark does not know where they are going.” As we get older, our eyes see less than they once did, which means it’s time to brighten up all rooms with the appropriate lighting. It’s a good idea to avoid lighting fixtures with hazardous cables that we might trip over, with the really astute among us investing in light switches that are easy to reach or that can be turned on and off by clapping your hands or by recognizing the sound of your voice. If you have to stand on something or overstretch to reach what you have stored in your cabinets, then it’s wise to lower those cabinets to a more suitable and secure level. Have fun investigating the different options available and the various ways in which you can store everything you need in a home designed to accommodate your ageing lifestyle. Proverbs 17:22 teaches us, “A joyful heart is good medicine, but a crushed spirit dries up the bones,” so take the opportunity to see these adjustments as positive changes and rejoice in the happy times yet to come in your home; free and safe to move around as you please. In Proverbs 14:16-26, we are reminded that, “The wise are cautious and avoid danger.” Wisdom teaches us that the most dangerous room in the house for ageing home-owners, or ageing relatives who choose to live with loved ones, is the bathroom. Wet floor surfaces are slippery, baths are difficult to get in and out of and the bending required to use toilets can turn even the simplest of tasks into potential risks. Investing in a range of handrails in a variety of positions around the bathroom is a really quick and fairly cheap way of making this room far less precarious. As is the case in Matthew 7:7, "Ask, and it will be given to you,” the wisest among us realize that asking for help is not a sign of weakness, but a reflection of our acquired knowledge and an indication of our inner strength, being able to admit that we can’t do everything for ourselves anymore. A home cleaning service will prevent accidents from occurring due to dusty floors or to the accumulation of unsanitary environments. 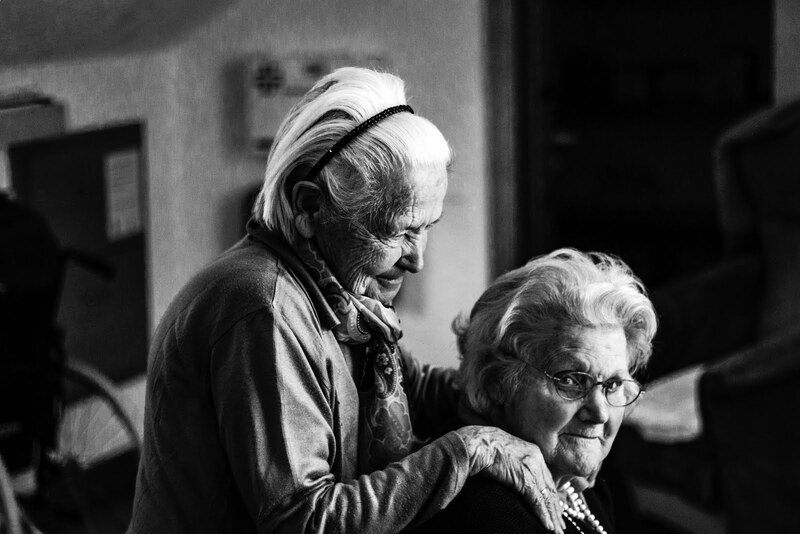 Medical alert systems can make a real difference too, providing much needed medical attention in record time and giving family members the peace and tranquility they need when their ageing relatives live at home and alone. Whatever your reasons for wanting to remain in your home, it would be foolish to ignore your ageing body and to put yourself at unnecessary risk. Remember, pair age with wisdom and put those wise thoughts into wise action.